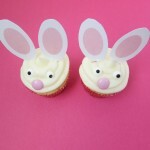 Spring is in the air, the flowers are blooming and before you know it Easter will be here! 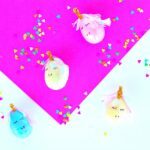 Are you guys ready for Easter? 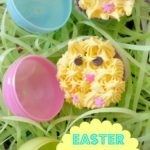 I’m ready for Easter crafts but I am trying to limit my sugar intake at the moment. Hi my name is Valerie and I’m a sugar addict. Admitting it is the first step, right?! Don’t worry I am still going to be making lots of yummy treats because I just love baking. I think maybe I will just try it all in moderation. 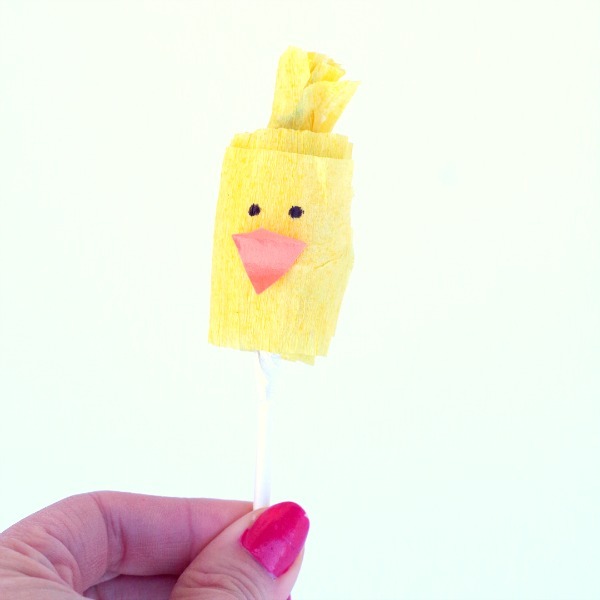 Back to my point I made these Easter chick lollipops because they are easy to make and give out to friends. 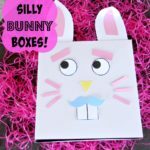 You can also put them in an Easter basket or serve on Easter. 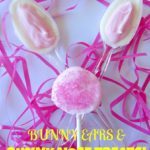 I personally also can resist the lollipops so as a mom to make just for the kiddo and her friends they are a winner! 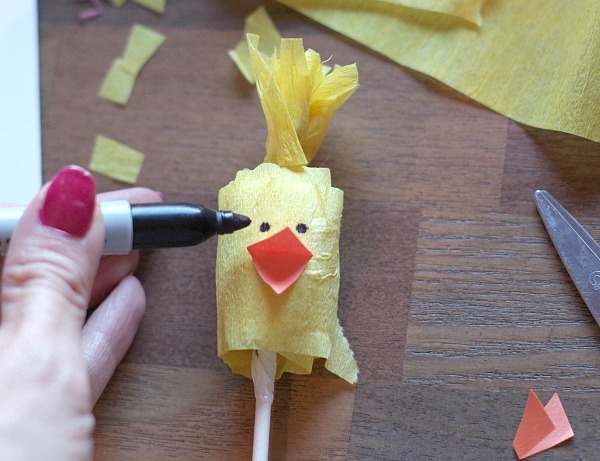 I love Easter chicks they are an underrated Easter animal watch out bunnies the chicks are taking over! It’s also International Women’s Day so there we go double chick love! 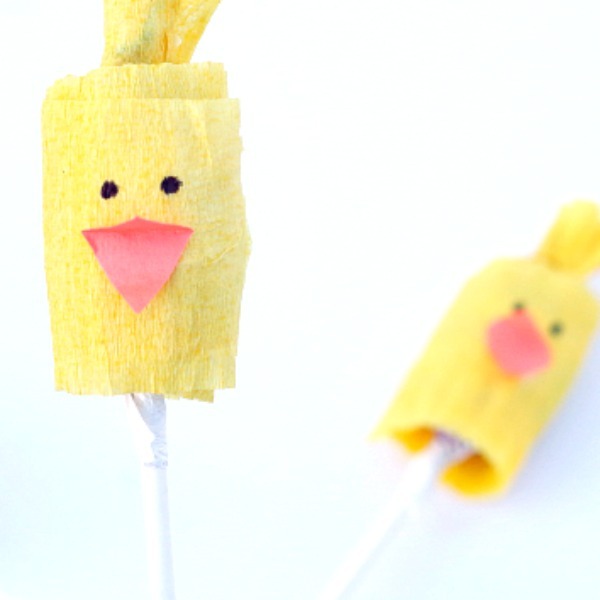 Wrap up lollipops in a strip of streamers or tissue paper. The strip was about an inch and a half wide. Then I wrapped it around 3 times. Wrap as many times as needed for the lollipop not to show through. Also make sure the top and bottom are slightly covered and none of the lollipops are sticking out. Then tape the end together with clear tape. Take another strip the same size. Wrap it around in a circle and cut a few slits in the top. 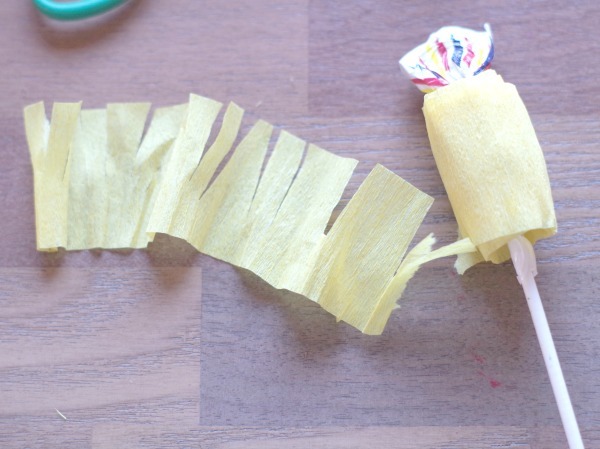 Then unravel it and wrap it around the top of the lollipop. If it doesn’t have a part sticking up you can also just tape it to the top. I cut off some of the extra so it isn’t too long on top just about 1/2 inch sticking up. Take a small strip of orange paper about 1 inch long and fold it in half. 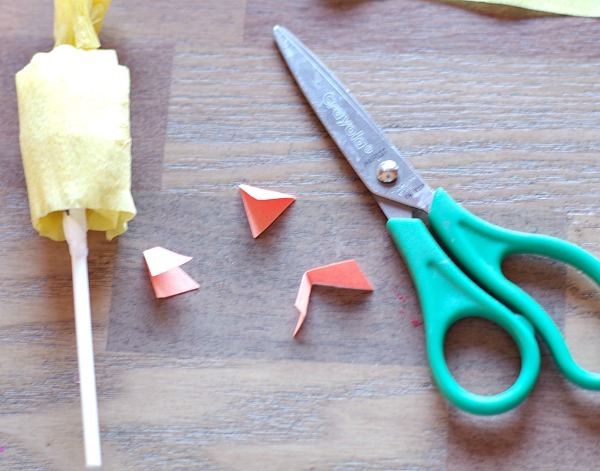 Then cut it into a triangle shape with the point on the bottom. 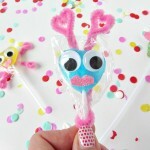 Put a small piece of tape or glue on the back and add it to the side of the lollipop in the middle. Then draw on two dots with black sharpie for the eyes. Confession, I made a bit of a mess up with photographing these on a white background. 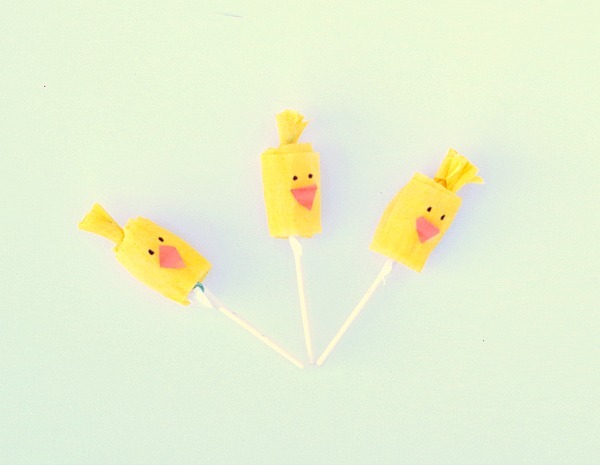 When I edited the pictures the lollipop sticks disappeared. Rookie mistake! 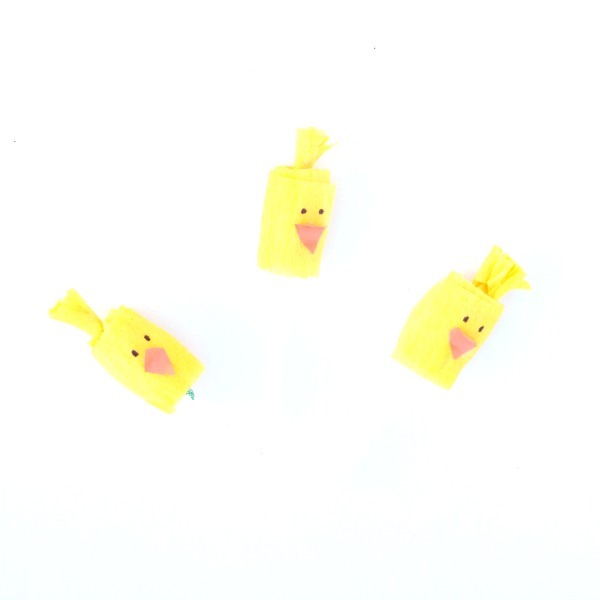 They are still cute as floating Easter chick lollipops!